The first time the hills of Côte Rôtie present themselves, it is impossible not be overwhelmed with their beauty. The cliff-like granite hillsides seems to have burst from the Earth with vigor and violence. It is also impossible to not be completely dumbfounded by them at the same time. When seeing those impossibly steep slopes, one has to wonder, "who the hell decided to plant vines there?" Well it's the Romans we can thank, for there may be no greater red wines made in the world today than the ones from Côte Rôtie. Only the truly dedicated would decide to make their living this way. No tractor on Earth can plow these vineyards – everything has to be painstakingly done by calloused hands. The will of these hard working people are mirrored in the terroir they plow, iron and rock. Domaine Clusel-Roch is one such family winery who calls this treacherously beautiful place home. 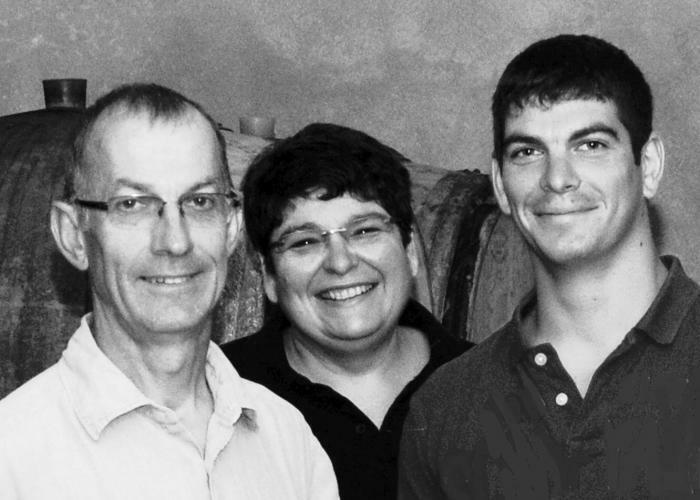 Based in Verenay, the northern most village in Côte Rôtie, this tiny 3.5 ha domaine is run by Gilbert Clusel, his wife Brigit, and their son Guillaume. It was in 1935 that the grandfather of Gilbert first planted a low yielding clone of Syrah called Serine at the one of the highest altitude sites on the hill. This vineyard became known as 'Les Grandes-Places', and it would become the foundation for this family winery. In fact, all subsequent plantings made by the domaine were done with cuttings from this very vineyard. The Clusel family first gained considerable fame for their early belief in the advantages of biodynamic farming, and would become pioneers of the movement within the region as they converted fully in 1990. This meticulous care for their vines, along with their hands off approach in the cellar is clearly evident in their lineup of terroir expressive, minerally intense Côte Rôtie and Condrieu. These are not to be missed!